Hello my young friends, I hope you all are doing best in your domains and are trying harder every day to reach your goals. Well it always takes a lot of courage to make things happen. It always is an intricate thing to make your dreams come true, but all it takes is persistence, hard work and smartness. Sometimes even a talented person loses before the intelligent person who tends to act smartly, so it is always your mind that brings about change. Grab opportunities, be positive and radiate good vibe, it will automatically introduce you to healthy mindset and cheerful people who have the same vibe as you. 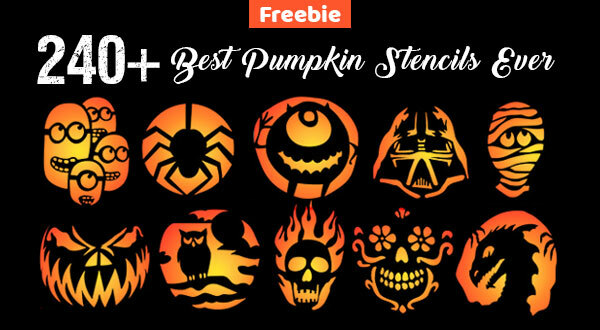 Down here you will see these 5 trendy Pumpkin carving stencils / patterns / designs / ideas for Halloween 2018. Make your Halloween special and amazing this year, bring an oomph factor to the day by walking an extra mile and by getting yourself the essentials that are required for the day of horror. Make the setting as spooky as possible and remember you can always decorate the ambiance yourself, you just have to keep a hold onto the important things. 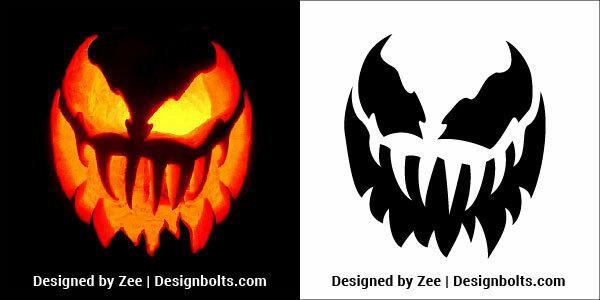 Pumpkins can never be put aside, I mean, they are the real joy of the event. 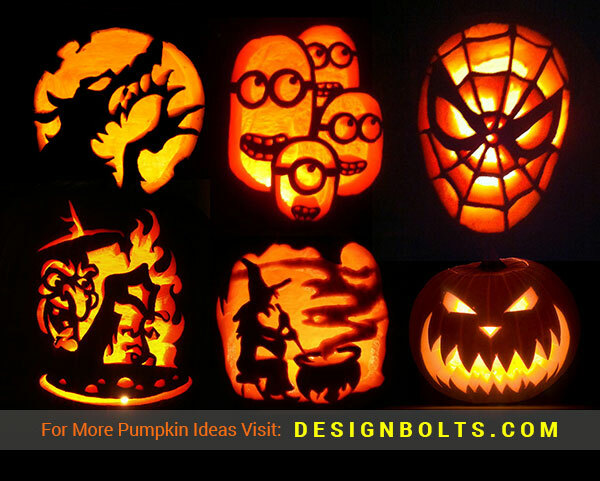 You can play with pumpkins differently, they can be added into feasts, they can be used as decoration and also to create a horrific appeal. 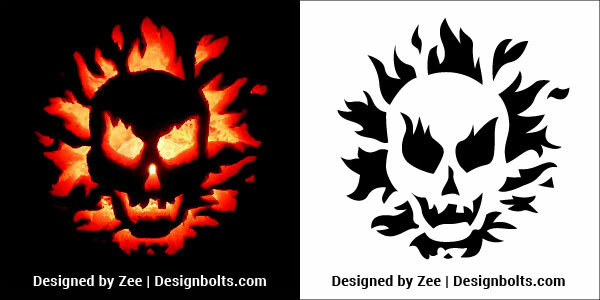 The ambiance of Halloween should reflect the event and all its evilness. So make sure you choose the right things for the day. 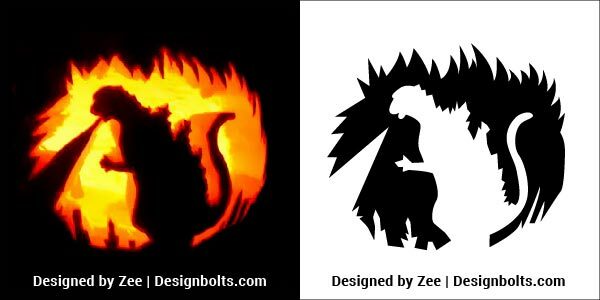 Pumpkins can be carved really easily but all you need is a good carving kit, you need to have a nice template/stencil as well to carve the pumpkin. 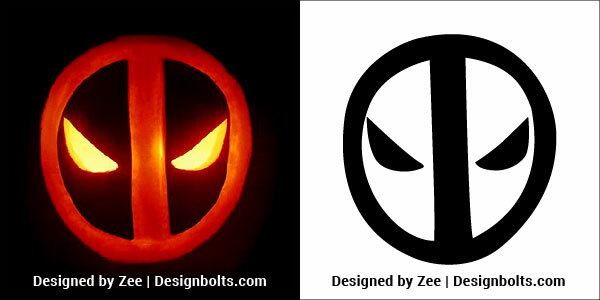 Just put the stencil over the face of pumpkin and start tracing up, the more it is fine the more good results will be obtained. 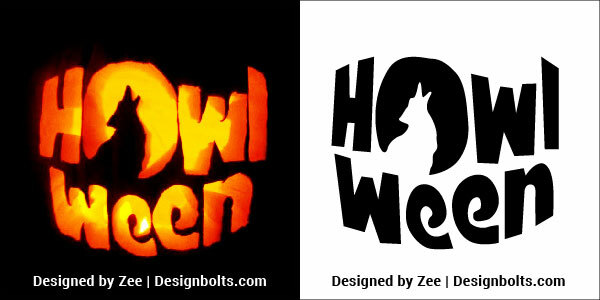 Let us know how does that help you and share your spooky Halloween experiences with us. 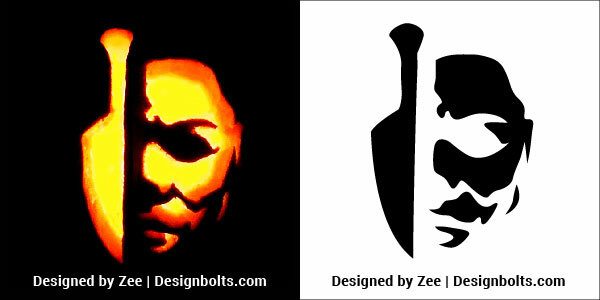 Stay tuned for more design collection and Halloween 2018 posts. Here we go with a promise that we shall be presenting quality art collection so it will inspire you as well as give you ideas. Here we go.